Dear Modern Farmer: I heard it's a good idea to plant cover crops in my garden. What should I know before I get started? I heard it’s a good idea to plant cover crops in my garden, and I would love to plant fava beans so I can harvest them and eat them, too. 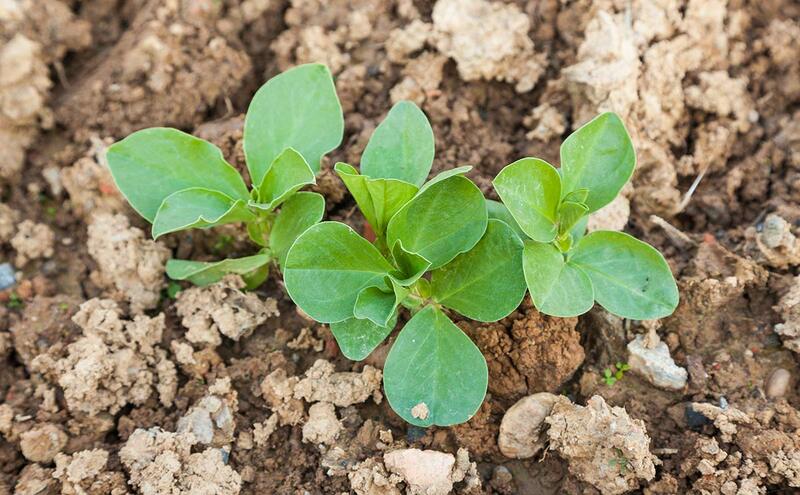 What should I know before I plant a legume cover crop? What are the biggest mistakes people make? Orin Martin: Well, the first thing you probably need to know is that you can’t eat them. You can grow a legume crop and eat it, or you can grow it as a cover crop, but you can’t do both. Manjula Martin: You can, but you shouldn’t. Because the whole point of growing a cover crop is to cycle its nutrients back into the soil, not into your stomach, right? Orin: Well, that’s one of the points. Remember, the three drivers of any sound soil system are cultivation (which is to say, digging), cover crops, and compost. Cover crops are called that because within that system, their job is to protect ”“ cover ”“ the surface of the soil. If you look around, it’s not natural for soil to be bare in most systems. When soil is exposed, the impact of water ”“ rain or irrigation ”“ hitting the ground is explosive. It just blows up any good granular structure you’ve worked to create. Then it dries and seals off the soil, and then you’re headed down a slippery slope towards erosion. Orin: Well… the Dust Bowl was the result of a lot of economic and environmental factors, but yeah, erosion was a big one. So listen up, Kevin: As a soil cover, you could plant anything. It could be weeds or an established vegetable crop. But what’s typically been used for the last few thousand years is a combination of annual grasses and legumes. This is because the other main job of a cover crop is to “trap” nitrogen and other nutrients and prevent them leaching downward into the soil while there are no productive crops. Cover crops basically store the nutrients until you cut them down and turn them back into the soil as green manure, a.k.a. fertilizer. And legumes are really good at this. They form an association with soil bacteria and “fix” nitrogen from the air in the soil. That’s free nitrogen, and free stuff is good! But Kevin, if you want those nutrients to be available for your next crop, you have to turn your cover crops back in when they’re a quarter to half in-bloom, or even a bit earlier when they’re still succulent. Always before they’ve gone to seed. Manjula: So sorry, no bean salad for you, dude. Orin: But though it may seem wasteful not to harvest a crop that could be eaten, cover crops are amazingly efficient. They protect the soil, cycle and restore nutrients, and provide a habitat and food for beneficial critters during the off-season. Cover crops also basically do your double-digging for you by improving the physical structure of the soil. They’ve got a pretty extensive portfolio of skills to help you out. It’s like our old friend Bucky Fuller always said: work smart, not hard. Use biology to work the soil for you. And while it does that, you get to sit around on the porch reading a paperback and drinking a mint julep. Manjula: It’s also a rest period for the soil, too, right? Manjula: So Kevin wants to work smart. We’ve told him not to eat his cover crops. What should he grow, and when? Orin: In a place like Central California: grow a cover crop in the off-season (October through March or April) and grow your regular crops straight out in spring and summer. In less freakishly awesome climates (back East, the Midwest, Europe, and so on), do a rotational scheme: take one quarter of your land, however big, and do a summer cover crop, then turn it in during late summer. Cover everything in the winter. The next summer, rotate the cover crops to another quadrant. You can do this type of rotation on growing systems of all sizes, from a postage stamp garden to what in Kansas they call a “section” ”“ one square mile or 640 acres. You do have less grow space but the break you’re giving the soil makes up for it in the long run. During the cool season: grow a combination of an annual grass (oats, barley, annual rye) and a legume (fava beans, bell beans, vetch, or annual red or crimson clovers). In the summer: grow Sudan grass (a form of sorghum) and/or straight buckwheat. You want a mix of 10 to 20 percent of the grass and 80 to 90 percent of the legume. Mix ’em together and sow ’em together. You only need about 8 or 10 seeds per square foot, which will cost you like a couple pennies per square foot. Just scatter (or broadcast sow) ’em, rake ’em in, or mulch ’em up with a little straw. Water ’em. If it doesn’t rain, water until they’re established. Wait til they’re half to half in bloom, and chop ’em down and lightly turn them into the soil. Manjula: And what’s the number one biggest mistake people make with cover crops? Orin: Not growing them! Here’s this insanely cheap, easy source for making your soil better and more fertile, and nobody does it. Organic farms mostly do it, now some conventional farms are starting to do it again, but most home gardeners don’t. Manjula: I have my own theory about this, but why do you think home gardeners don’t generally grow cover crops, Dad? Orin: I think by the end of the season you’re tuckered out. You’re like, “I’m done. Time for winter – mushroom hunting and trips to Kauai!” And people don’t know how easy it is, and how easy it makes things later. Why do you think people don’t do it? Manjula: Because it’s not pretty. Manjula: I think the idea that the only beautiful garden is an orderly garden is weird. We’re talking about plants. As the nice people who raised me like to say: beauty is in the eye of the beholder, right? And when you behold cover crops, they’re pretty! Take a really nice stand of bell beans or oats ”“ it’s six feet tall, it has flowers, it’s downright lush. And there is an aesthetic orderliness to it, if you understand how the system works. Want more growing advice? 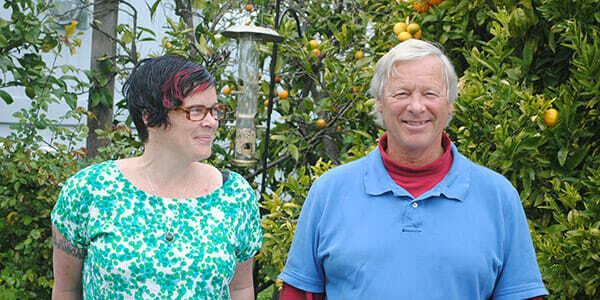 Check out all of Orin and Manjula’s columns here.